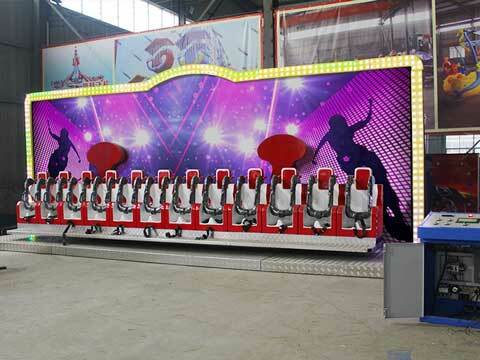 Miami rides for Australia, also called Miami fever ride, Miami surf ride, and Miami trip/wave ride in our factory. There are mainly 3 types of Miami rides for sale in our workshop, 10, 12 and 16 seats Miami fairground rides. We also customized other Miami rides with capacity of 6-20 seats for our Australia Customer. The Miami trip rides belong to the medium-sized rides. Passengers will sitting on the seats and rotating along with the rock music. The Miami rides from Beston Amusement is popular used in the funfair, large fairgrounds, kids and family centers, amusement parks, theme parks, playground in the school, kindergartens and other places with crowds of kids and adults all the time. The Miami rides belongs to the reciprocating large or medium-sized amusement equipment. It is connected by two arms to a long row of seats. The whole equipment will running on the ground with vertical movement to the ground. Passengers on the seats and rotating with the rock music up and down, rising up and down rapidly. Passengers will enjoy the overweight and weightlessness of the alternating. Irritating and interesting which will release the passengers. 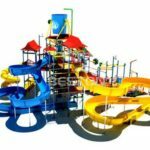 As a large amusement rides manufacturer, we manufacture large and small Miami fairground amusement rides for Australia customer. We accept customized order about the size, color, capacity. Henan Beston Amusement Equipment Co.,Ltd. will always keep in accordance with customer’s’ requirements for the customization. We could also help you on design your new amusement park.